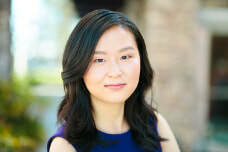 Qingqing (Quinn) Yang is interested in how adolescents develop their value beliefs about specific academic subjects. Theoretically, her research is largely informed by Eccles's Expectancy-Value Theory, the Self-Determination Theory and the Control-Value Theory. Her last project utilized a within-person approach to examine how adolescents internalized their parents' beliefs about the importance of math. ​Her ongoing projects include within-person examinations of adolescents' internalization of their parents' beliefs about the importance of English, and the reciprocal relations amongst adolescents' academic values (i.e., interest and importance beliefs), self-concept of ability, anxiety and performance in English and math respectively.